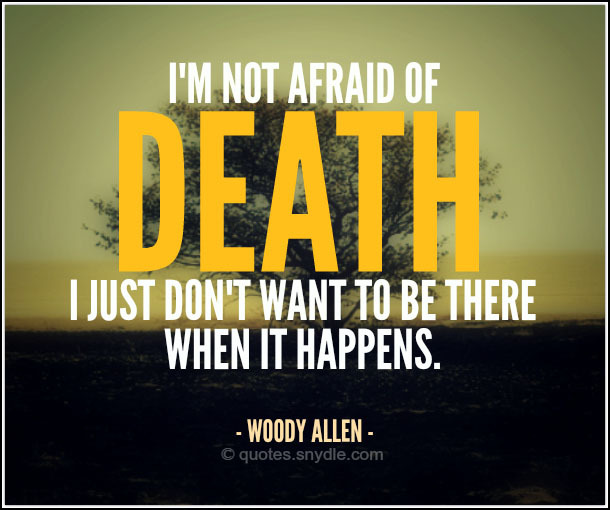 I’m not afraid of death; I just don’t want to be there when it happens. 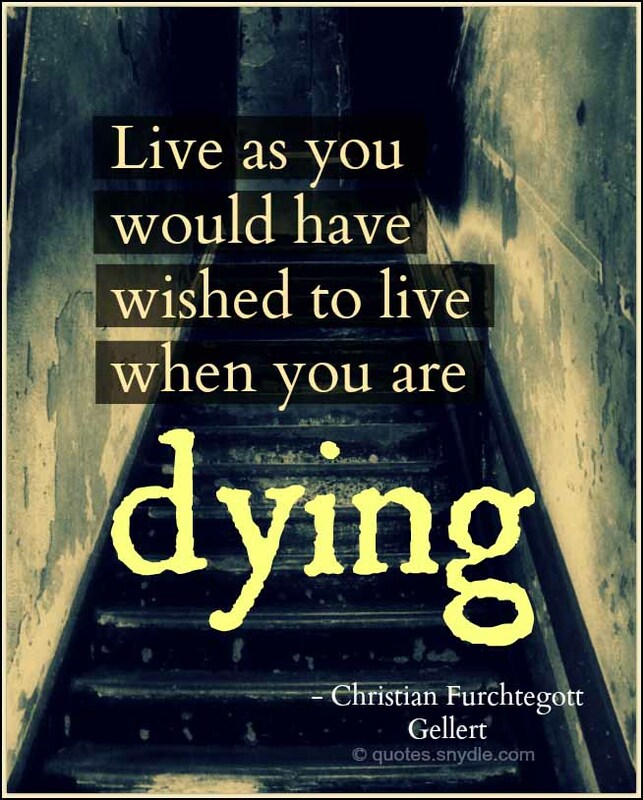 Live as you would have wished to live when you are dying. Death is a law, not a punishment. 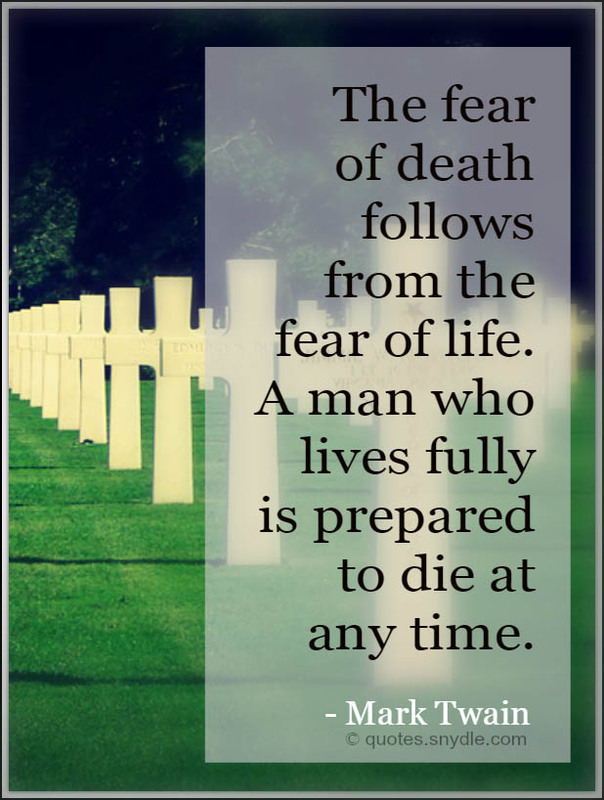 It’s better to die laughing than to live each moment in fear. 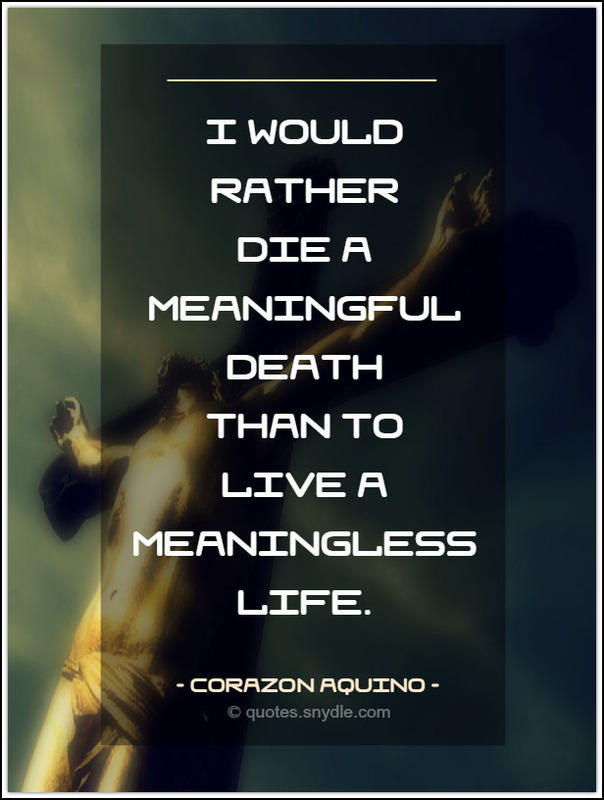 It is a blessing to die for a cause, because you can so easily die for nothing. 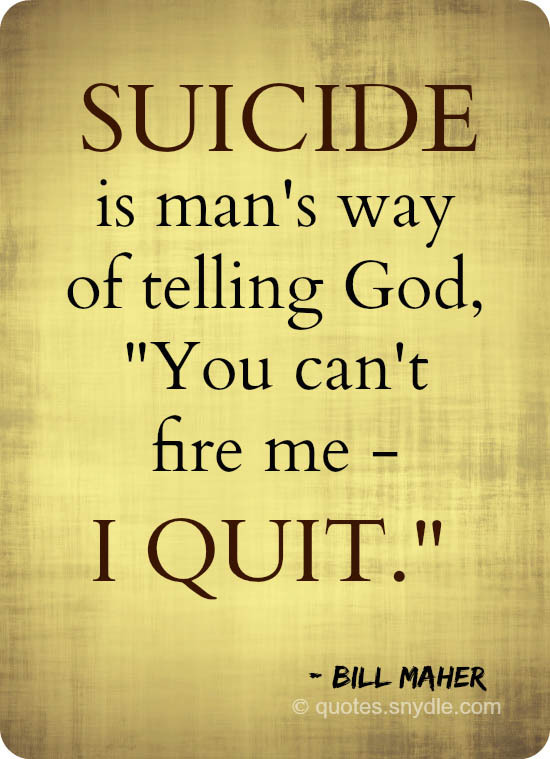 Suicide is man’s way of telling God, “You can’t fire me — I quit. 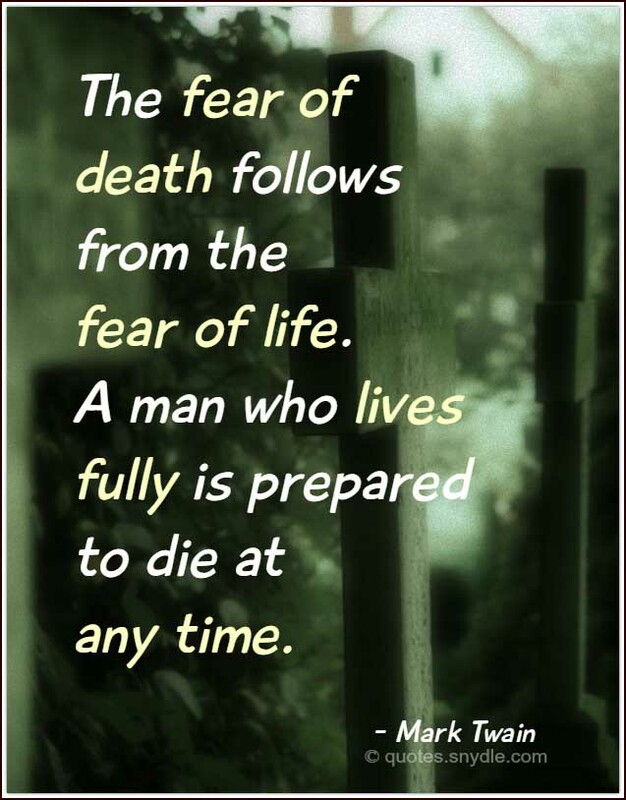 I’m not afraid of death. It’s the stake one puts up in order to play the game of life. 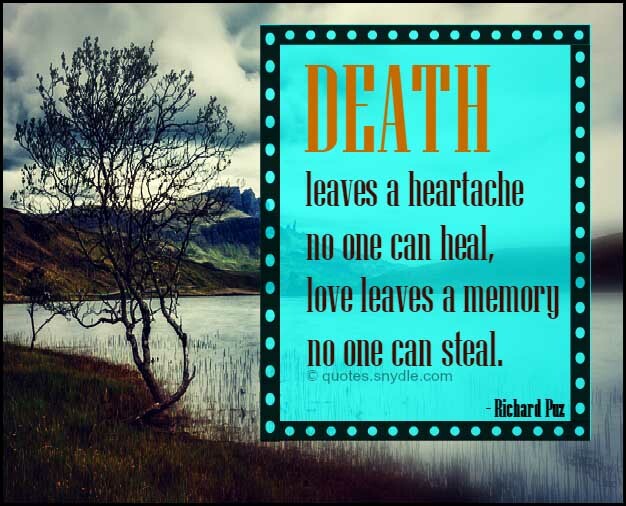 The dead are never truly gone. They linger in our minds and hearts and torture us with a malice they were not capable of in life. 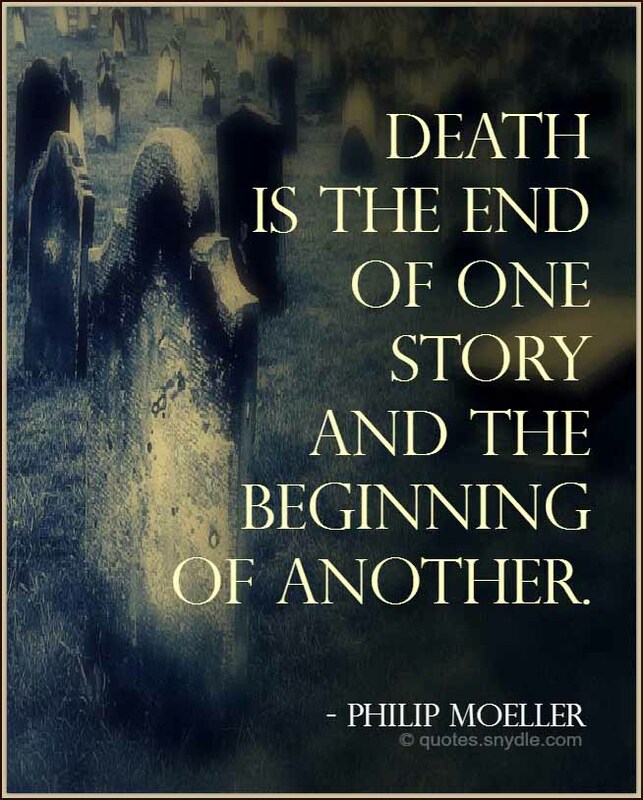 Death is the last enemy: once we’ve got past that I think everything will be alright. 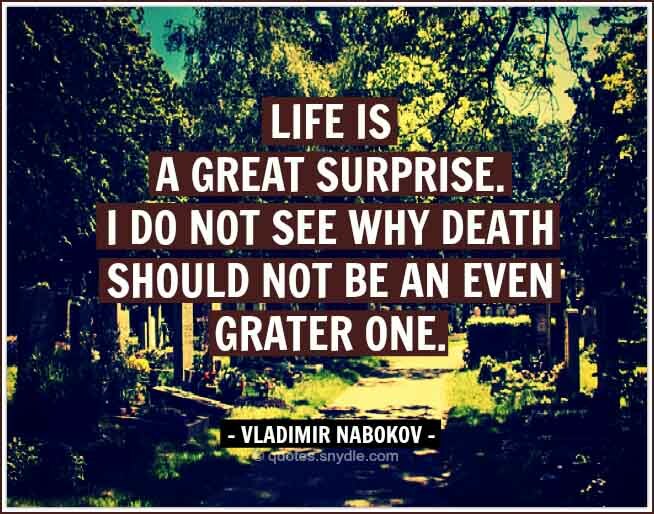 Life is a great surprise. 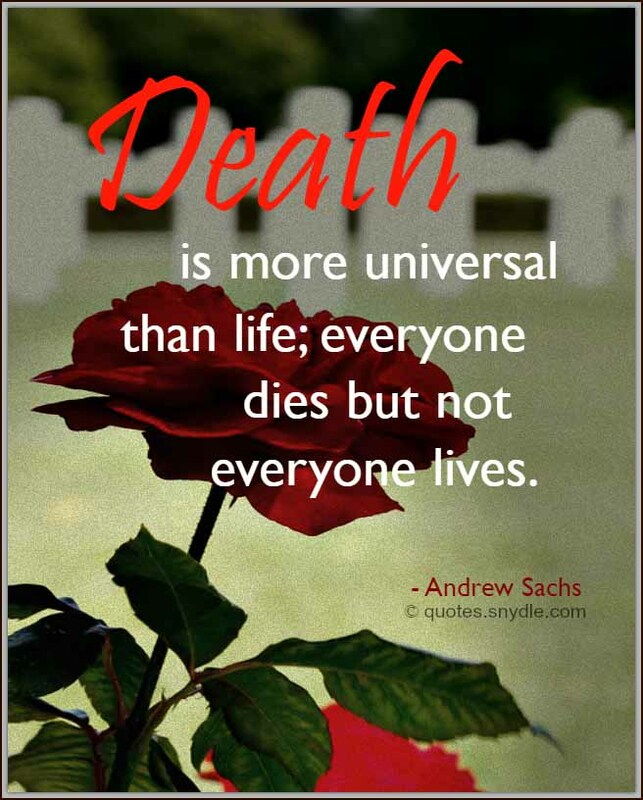 I do not see why death should not be an even grater one. It is said that your life flashes before your eyes just before you die. 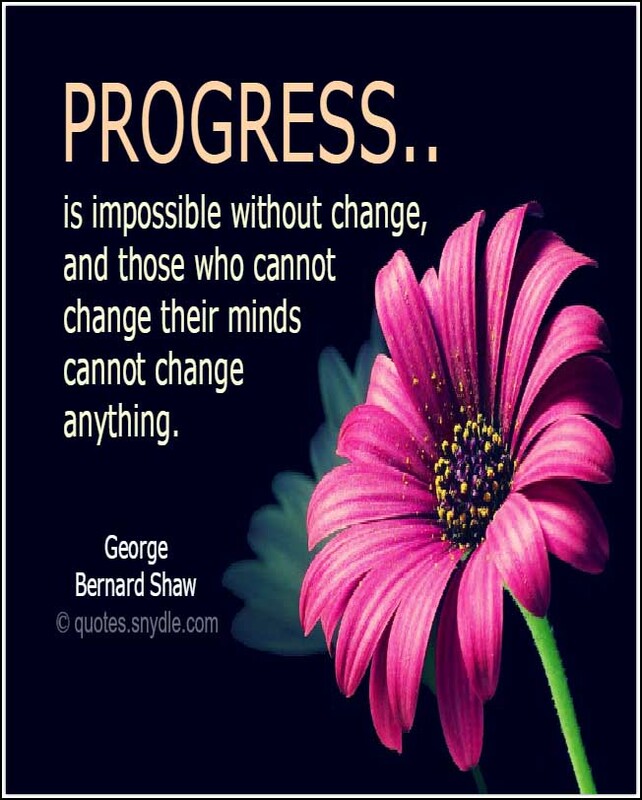 That is true, it’s called Life. 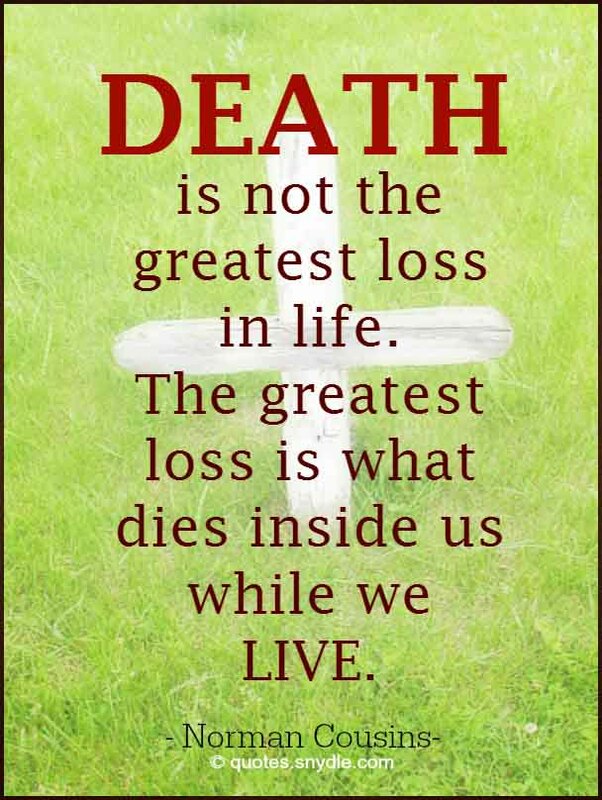 Death was a smokescreen between life and myself. 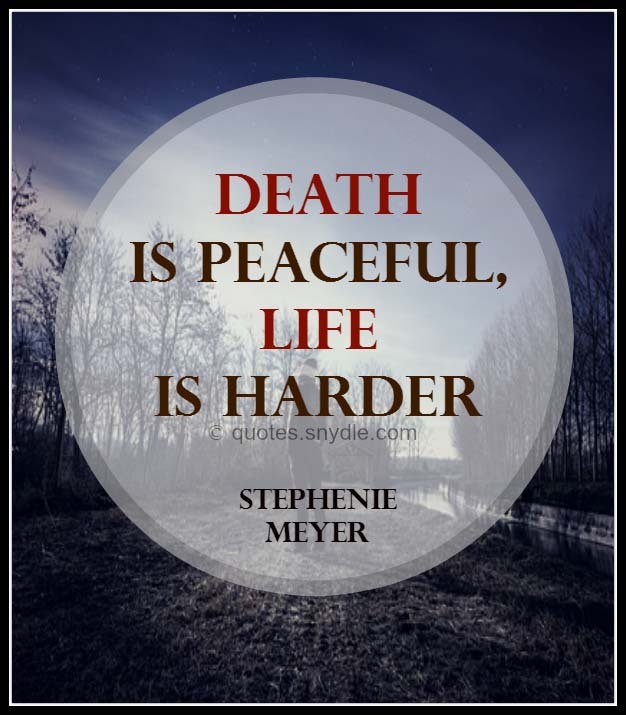 You don’t know how easy death is. It’s – it’s like a door. 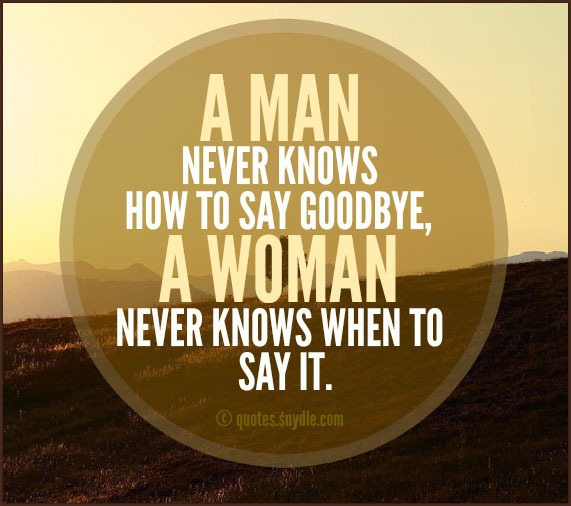 A person simply walks through it, and she’s lost to you forever. 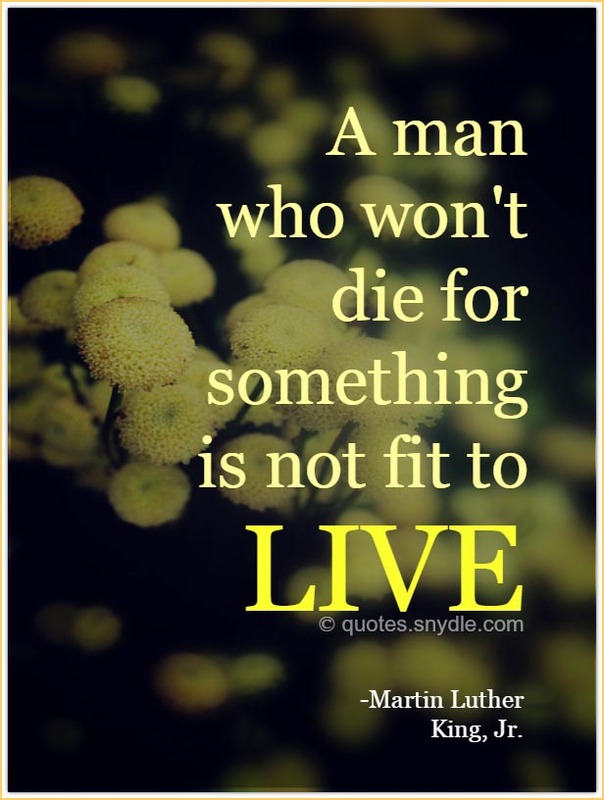 The good die young – because they see it’s no use living if you’ve got to be good. 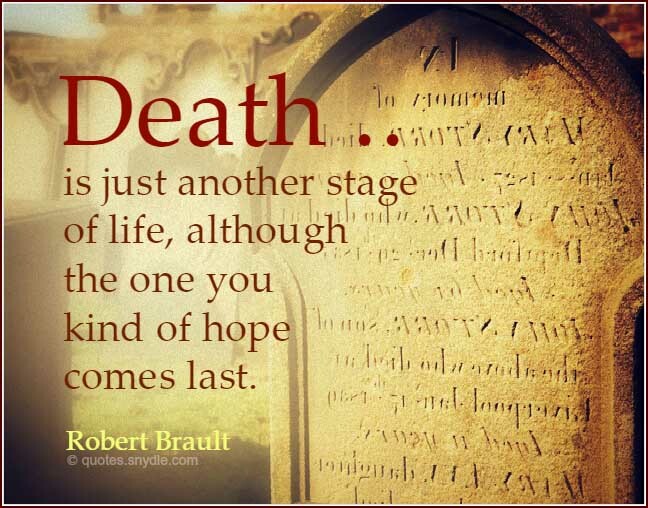 Death is just another stage of life, although the one you kind of hope comes last. I’m not afraid to die, I just don’t want to be there when it happens. Death descended like a theatrical storm over the Drakensberg Mountains, stranding me while it ran its course. 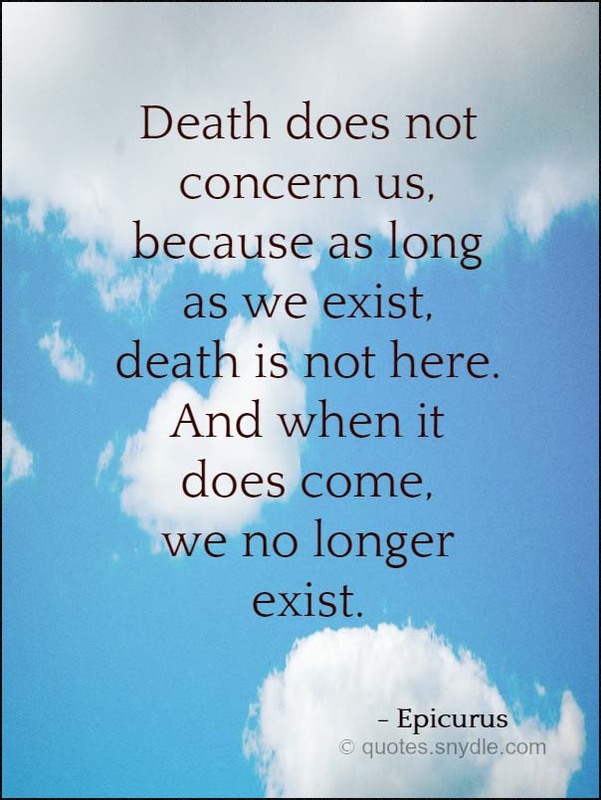 A fact of life we all die. But the positive impact you have on others will be a living legacy.